It’s Friday and time for another Perfect Picture Book review. This National Geographic Action Book was a huge hit at our house! Publisher: National Geographic Society, 1987 in cooperation with Intervisual Communications, Inc. NOTE: Amazon states 9 and up, but I feel like smaller children will enjoy this as much or more than older children. The pop ups are a lot of fun and the reading is limited to 2 paragraphs per double page. In the early morning sun, two mountain lion cubs are playing with a spiny lizard. Soon they will follow their mother to their den to sleep during the hottest time of the day. They live in Arizona’s Sonoran Desert. The desert has little water, and it is often very hot. Brief Synopsis: Journey to Arizona’s Sonoran Desert. Learn about the animals and their habitats. An interesting and interactive way to learn about the desert and the creatures that live there. Children will have loads of fun with this activity & pop up book. Each beautifully illustrated page comes to life with fun interactive flip up’s, pop outs, pulleys, and flaps. Discovery Channel Planet Earth has some great pictures of desert animals as well as some more articles that would be suitable for older children. The Planet Earth Blu-Ray DVD is a fantastic series. One of the episodes is on deserts. I highly recommend the BBC version. Why I like this book: I love books that are not only educational, but also are fun to read. These types of books are great, especially for busy little ones. Each page is something new to discover. The kids will want you to read it over and over. 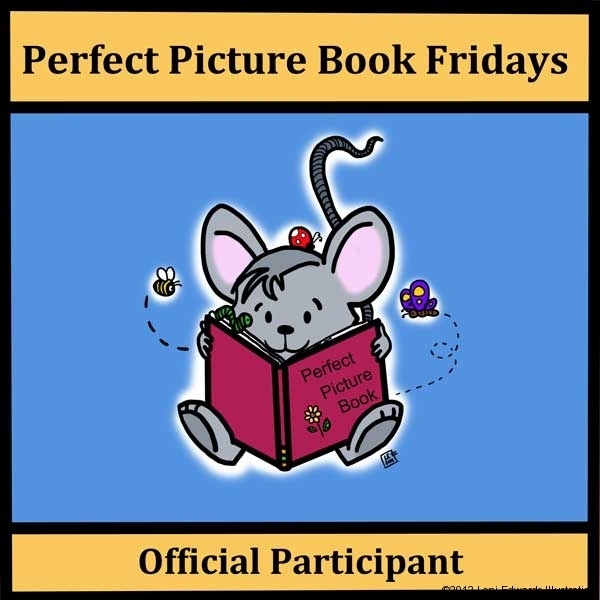 Perfect Picture Book Fridays are a weekly blog event where participants review some of their favorite picture books. The posts are compiled on author Susanna Leonard Hill’s website. They are categorized by theme to help parents, educators and readers find the perfect picture book easily. To learn more, please visit Susanna’s site where you will find the complete PPF’s library. I’m not a fan of “slitherin’ snakes,” but I’m game to check out the desert creatures. Haha! Well you will be happy to know there aren’t too many snakes in it. There are a few though! Thanks for being a good sport. You will like it. Interactive pop-up books are my favorite. This sounds fabulous with all sorts of new creatures to experience. Mine too Catherine! I would like to create one someday. I think it would be a challenging, and fun project. Very cool book Loni and I love all the links you have provided. You have certainly done a lot of homework here. Like Stacy, I’ll avoid the snakes…lol. Thanks for the comment. Well, as an Anthropology student, I like research LOTS! Awww snakes are beautiful creatures. Maybe this book will help you overcome your fear. I haven’t heard of this book before. I will check it out! Great activities! Thanks Erik! You will like it. It is a lot of fun, for everyone! fab choice, Loni. National Geographic Kids is also a wonderful resource. As it is a pop up book I so agree that much younger children will also love this one! Hi Joanna, I agree! NatGeo is a wonderful resource in books, dvds and tv! My family went to the NatGeo museum in DC a few years ago. They said it was awesome! Thanks for your comment. My son loves these kind of books, but I hadn’t seen this one. NatGeo does a fantastic job with everything they publish. Thanks for sharing! Love pop-out books–they are so much fun for kids 🙂 Sounds great! Thanks for your comment Coleen! As always, an excellent choice. It does sound like younger kids would enjoy the pop-ups. I love books on the daily lives of animals. Me too Pat! I love books like that also 🙂 Thanks for stopping by. You know, given that you’re first on the list this week, Loni, you’d think I would have gotten here sooner 🙂 Great choice! I love fun non-fiction titles and National Geographic has so much to offer. And pop-ups? What more could you want? Thanks for sharing this one! I’ll have to look it up – I love animals! Hi Susanna! Thanks for stopping by. Yes, this book is full of animals. You will love it. I would have absolutely LOVED a book like this when I was a kid. Heck, I’d love it now! National Geographic does such a fabulous job with pop-ups. Hi Beth! You’re right, I say it “was” a favorite at our house, but truth be told, it still is! And yes, Nat Geo makes some great books! Kids love nonfiction! This book sounds wonderful. Thanks for sharing it with us. You’re welcome Penny! Thanks for the comment. We used to have this book. I wonder what happened to it? Eric, I hope you will find it soon. It’s a keeper! Great resources, Loni! The Planet Earth series is one that we go back to over and over. Good pick this week! You got me with “pop-up!” I’m betting this one is out of publication, but doesn’t hurt to check. I can always order it on Amazon. Sounds like a really fun and educational book! Thank you for sharing!! Hi Kelly, yes it is available from Amazon still. It’s a great addition to any library. What a great idea for a blog. I hope you don’t mind if I follow your lead on occasion. This combines setting aside a specific time to read a picture book with blogging about it. I’m glad I stopped by as part of the comment challenge. Feel free to visit my blog as well at http://billkirkwrites.blogspot.com —or my website. Hi Bill! Actually, the blog came first. I just joined in with Perfect Picture Book Fridays. It’s all the idea of author Susanna Leonard Hill. I can not take credit. Just a participant. Thanks for stopping by.